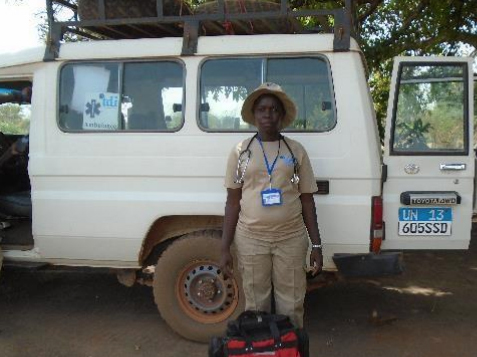 South Sudanese Lilly started her career in Mine Action in 2004. 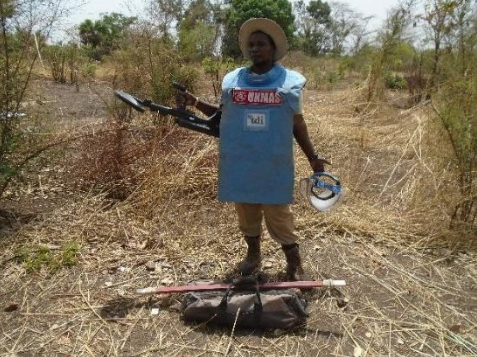 With the extensive threat posed by explosive remnants of war (ERW) in South Sudan, Lilly is committed to assisting those who live in danger of these weapons. Lilly is a certified Level 2 Explosive Ordnance Disposal (EOD) Deminer and works as a critical component of a Multi-task team that conducts Manual Mine Clearance (MMC), Battle Area Clearance (BAC) and Non-Technical Surveys (NTS). Lilly’s work has taken her to many areas of South Sudan, exposing her to different cultures and tribes. Meet Konga, the South Sudanese Medic who joined TDI in 2017. She is also a qualified Midwife. While growing up, Konga always had an interest in the medical field. 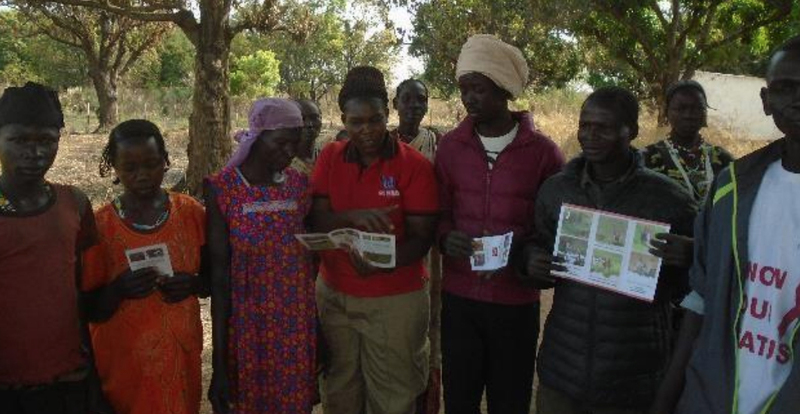 She witnessed the effects of South Sudan’s conflicts and promised herself that she would pursue something that could help those living in danger of UXO and ERW. Like Lilly, Konga has become self-sufficient since joining the Mine Action industry. Although she does not see her family often, they are supportive of her working for TDI, as they know she is providing valuable humanitarian assistance to at-risk communities. Konga provides medical support to her Multi-task Team whilst also relaying medical information to the communities that her team visits. She finds that it is easier to transfer information between female community members as they feel comfortable opening up to her about concerns that they may have. As a result of the clearance work TDI is actively doing in South Sudan, Konga hopes that the cleared land will be used for the development of schools and hospitals in the future. Margaret is originally from South Sudan and works as a Community Liaison Officer for TDI. Although she was nervous to leave her family when she started working for TDI, they received the news positively and knew that their lives would change for the better. Similar to what Konga experiences in the field, Margaret finds that women community members open up to her more easily and will talk freely about their community’s suffering. During her activities with the community members, Margaret has noticed that the women are proactive in relaying safety messages to their families, children and the broader community. Many communities live in fear of UXO but Margaret hopes that the clearance efforts conducted by TDI will allow them to move freely from one place to another. For Margaret, her desire is for the released land to be developed into schools, medical facilities and necessary infrastructure.